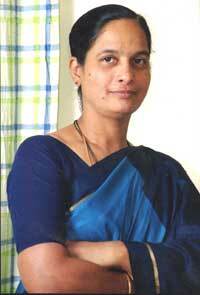 Dr. Nirmala Jyothi. Medical Doctor, married for 18 years with 3 children. A devoted Christian, Dr. Jyothi had a vision to set up an orphanage. She originally started with 4 children in 1989, giving them a place to call home as well as providing them with some basic necessitites such as food and education. Over the years as the number of children increased, it was necessary to find a larger home for these children. So in 2008 3 acres of land was purchased and construction started on Joy Home. 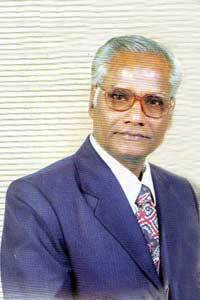 Dr. K.Karunakar Rao – Medical Consultant (married to Dr. Jyothi). 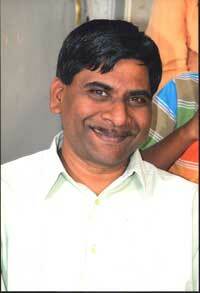 Dr. K. Karunakara Rao works for a teaching faculty in an herbal medical institute. A national manager for Seva Bharat which is a social organisation working for the upliftment of the illiterate with the objective of literacy, health, social, economical and spiritual awareness. Rev. David. M. Bollam. B.Com B.D. Founder - Pastor -Principal, Evangelist, Editior and Author. A renoun and commited Pastor for the community Church. Rev. Bollam is like minded and rendering help to the needy. Rev. Bollam runs a mission which provides help and support to intelligent students, medical camps, prison ministry, support to orphans, widows, the aged and helping those victims of natural calamities. Raj. K. Gosai – Taking on the realms of philanthropy, British born Raj Gosai is driving force behind Joy Home for Children heading up the UK/Global operations. This includes fundraising, global awareness programme, maintenance of the website and the general control/management of the administration of a charity. 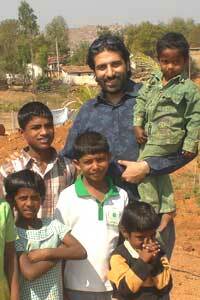 Also a keen supporter of Children Walking Tall, a charity based in Goa, India which help street and slum children. Neal Rajdev – Offering diversity of skills including financial, business and management experience, Neal serves on the governing body of our charity using his personal skills and experience to ensure that the charity is well-run and efficient. Yousaf Zamir – Involved in the initial UK Registration process. A trusted committee member of the board of trustees, Yousaf brings his IT skills, energy, experience and knowledge to running of our charity. Focusing on planning the strategic future of the charity and its work as well as policy decisions. Anil Kanji – Toronto based New Media Strategist for Social Change, with over 10 years of Marketing and Communications experience in the corporate and non-profit sectors. Odelia Xavier – Based in Dubai, Odelia is a graduate in International Business, editor and writer, she is heading up awareness in the UAE, promoting individual and corporate sponsorships for the development of our orphanage.